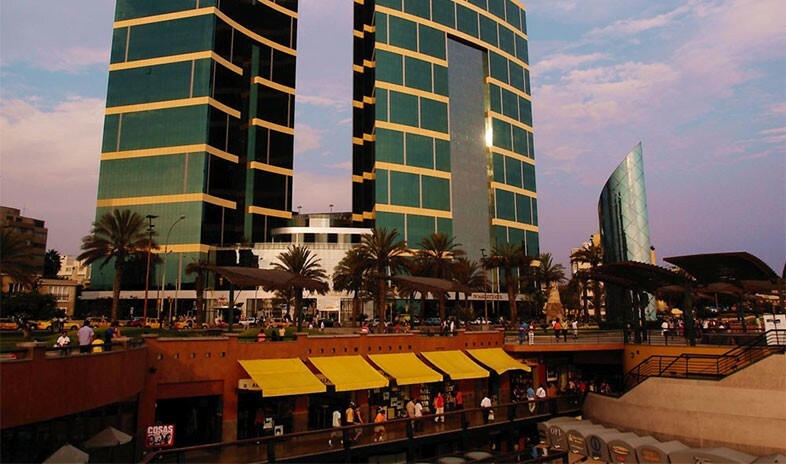 The most exclusive Marriott International property in Lima, Peru, occupies an ultramodern, 25-story glass tower designed by Miami-based Arquitectonica founder Bernardo Fort-Brescia, a native of Lima, in 2000. The gleaming structure of the JW Marriott Hotel Lima affords sweeping views of the Pacific Ocean and the Miraflores district from all 300 guest rooms and suites. A favorite for many of the headlining artists who visit the city, the bluff-top location also affords wall-to-wall ocean views from most of the hotel’s conference rooms. Together, the 10 event spaces total more than 14,000 square feet and host gatherings of five to 560 attendees. All venues provide the latest audiovisual capability, versatile soundproof panels, and double- glass window walls to block outside noise. Guests find two stylish restaurants on-site: La Vista and the JW Sushi Ceviche Lounge, both featuring new-Peruvian cuisine. They also find one of the best health clubs in the city. It combines a spa, outdoor pool, weight and aerobics machines, complimentary trainer services, and scheduled classes. Just beyond the front door lies the Malecón de la Reserva, 6 miles of seaside scenery perfect for jogging and strolls. Plus, explorers have all of Lima at their feet, from nearby beaches and the Larcomar shopping and entertainment center just steps away to fascinating museums, archaeological sites, and the Peruvian capital’s five-century-old city center.